One of the most common types of healthcare fraud in violation of the False Claims Act (FCA) is pharmaceutical fraud. It is also one of the most highly reported types of healthcare fraud, with over $4.5 billion of financial penalties issued from qui tam lawsuits in 2012 alone. While whistleblowers are important to the healthcare industry in general, it is clear that their contribution to the pharmaceutical sector has been huge. If you suspect that you have witnessed pharmaceutical fraud, contact the qui tam attorneys at Willoughby Brod today to learn more about your options moving forward. Pharmaceutical fraud involves illegal actions that pharmaceutical companies engage in that violate the FCA or CFCA and result in false claims to insurers and Medicare/Medicaid. There are several predominant types of pharmaceutical fraud, which are highlighted below. While pharmaceutical fraud can come in all shapes and sizes, the following are a few of the most common types of fraudulent schemes pursued by pharmaceutical companies. Off-Label Marketing Fraud: When the Food and Drug Administration (FDA) approves a new drug, it approves the drug for specific uses only. While pharmaceutical companies are permitted to sell drugs for uses that have not yet been approved by the FDA, the pharmaceutical company must disclose this fact to its consumers. The fraud occurs when pharmaceutical companies market a drug for a purpose that has not yet been approved by the FDA without revealing this caveat. 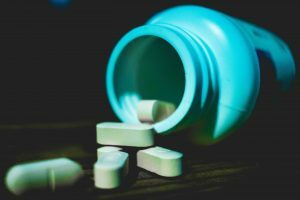 Illegal Kickbacks Fraud: Under the FCA, doctors and pharmacists are prohibited from giving each other kickbacks for referring patients or specific drugs, as such practice could sway doctors away from prescribing what is best for the patient and toward prescribing whatever will result in the largest fees for the doctor. For pharmaceutical companies, fraud occurs when a pharmaceutical company showers a healthcare provider with gifts or money in order to obtain referrals, or when a pharmaceutical company sponsors a healthcare practice’s seminars or retreats in order to entice the healthcare provider to prescribe its drugs to their patients. If you believe you have witnessed pharmaceutical fraud in violation of the FCA or the CFCA but are unsure of your next steps, contact the qui tam attorneys at Willoughby Brod today to learn more about your options. Remember that without whistleblowers, pharmaceutical companies would have scammed the government (and the public) out of over $4.5 billion in one year alone, so by stepping forward as a whistleblower, you are not only helping the government but also your fellow citizens. Contact us today at (800) 427-7020 or visit us online to schedule your confidential and free consultation.